Boeing has powered up its first 777x aircraft at its site in Everett, Washington. The switching on of power is one of the final parts of the aircraft production process and enables functional testing to be done before the first flight. The fuselage sections of the aircraft were joined together in late November. The company has two 777x test aircraft in development. The 777X’s first flight is scheduled for 2019. The 777-9 is expected to enter service in 2020, with a smaller variant, the 777-8 following a few years later. 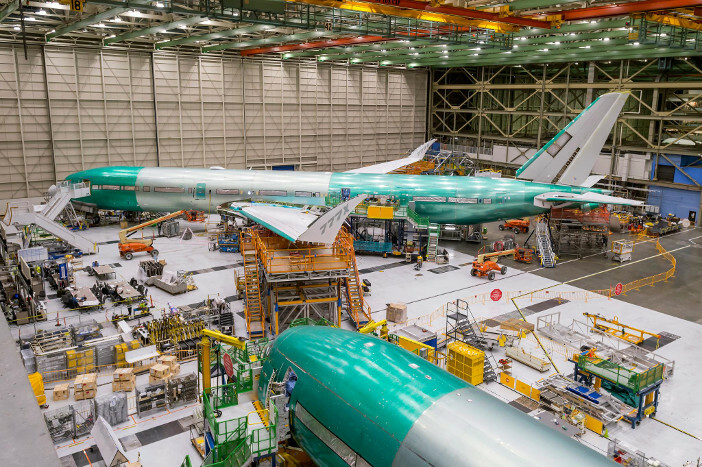 Systems testing of the 777x started in June 2018 in a new 11,600 square foot laboratory, called “Airplane Zero” built by Boeing Test & Evaluation (BT&E). The laboratory consists of a functional 777X flight deck, monitoring stations and 777X power units to represent the full functionality of the aircraft and enable engineers to perform many tests in advance of the powering up of the first test aircraft. “Beginning testing on time supports our goal of delivering a service-ready airplane for first flight, which will allow for an efficient flight-test program and ultimately help us deliver on our commitments to our customers,” said Chris Muhich, 777X systems test manager for Boeing.